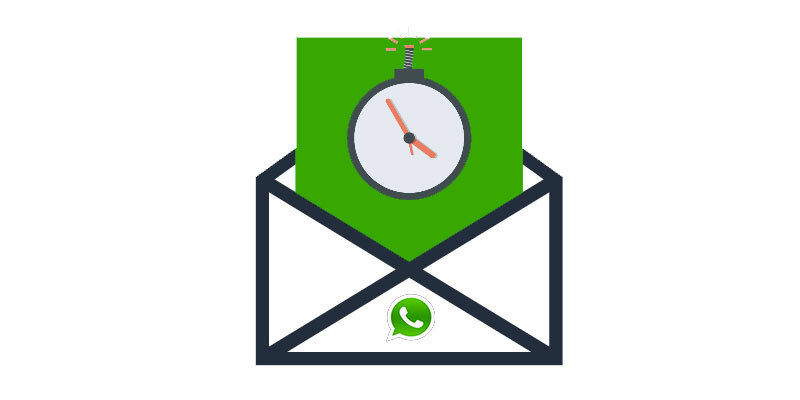 Here I will explain how to send self-destructive messages easily on WhatsApp as well as Facebook messenger and Twitter. Snapchat became popular largely thanks to its self-destruct messages. The application allows you to destroy messages, photos and videos after a certain time. This feature is increasingly used by users worldwide. Kaboom is a free application for Android and iOS that adds this feature to WhatsApp, Facebook, Telegram and Twitter. Once you’ve installed this app, you must configure the application to send self-destructive messages through different social networks. The program allows you to send an auto-destructive picture, video or message by setting an expiration time. You can even make the message delete itself once the recipient has read it. Simply write a text message or choose a picture and select the time for which the message will be visible – it can be from one second to sixty days. The last step is to click on the Share button and send it through WhatsApp, Telegram, Messenger, Twitter, Facebook, email, or simply copy the link. What Kaboom does is upload the message to its own server and shares the link. In doing so, be aware that your message may be intercepted. The application doesn’t alert you if someone captures the message.